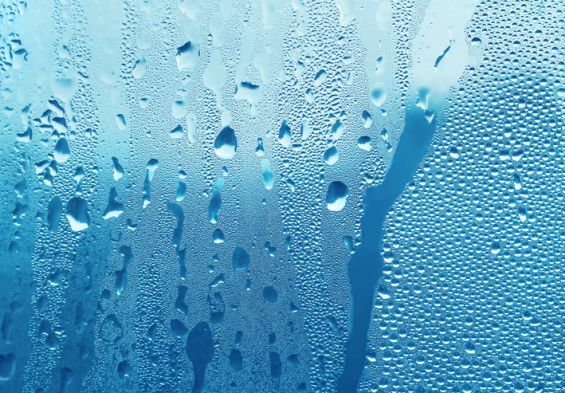 Condensation is usually formed when we see an increase in temperature, the moist air will travel to the top of the building and once it comes into contact with a cold glass surface then this will quickly form into water droplets. There are a few common causes, which cannot be avoided. The internal environment is constantly in use as we cook, clean and breath, these are basic factors contributing to the humidity of the atmosphere. If the problem is not treated then this can cause damage to the internal space, which is something that can be avoided. If the paint on the walls is peeling then these are the visible warning signs that the condensation is causing damage. This can also lead to mould and deteriorating floor tiles and furniture. In order to keep your home free from moisture and maintain a dry living space, the home needs to well ventilated by opening the doors and windows; the air will circulate keeping the atmosphere at a cool temperature, preventing any moisture from building. If you are looking to install a skylight then we would advise that you take a look at a skylight window with a ventilation system fitted as this will help prevent moisture building. Make sure you do your research and hire the right team to fit your new feature to the required industry standards.